Genesys the market leader in omnichannel customer experience (CX) and contact centre solutions, announced at G-Force 2015 the opening of the Genesys AppFoundry – a newly available online marketplace focused on customer experience solutions. The AppFoundry will serve as a resource centre for Genesys customers to discover, research and connect with a broad range of customer experience applications, integrations and services that address their unique customer needs. With an ecosystem of more than 500 partners and systems integrators, Genesys is making it easier for customers to find answers to their business needs and easier for partners to collaborate with customers and market their solutions. The AppFoundry goes beyond traditional marketplace platforms with an emphasis on third-party customer experience applications, which provide complete communication integrations through voice, chat, email, video, social media and mobile. For example, Pointel makes Genesys an even better fit for health care organisations with its records and claims management adapters. 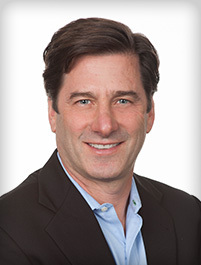 Another Genesys partner, Aria Solutions, offers an adapter for Marketo, which alerts agents about customer intent when they are responding to campaigns, allows interactions to be routed according to marketing profile data, and pushes data back into Marketo to facilitate attribution and retargeting of campaigns, based on what happened when a customer interacted with the contact centre. For financial services and retail customers, Pindrop Security and iProov offer fraud detection and facial recognition solutions to improve customer experience during password reset and authentication scenarios. Genesys customers searching for online ad targeting solutions can turn to MightyHive, which offers a consumer targeting and ad platform that delivers online ads based on why consumers called customer support or reached out via digital channels. The AppFoundry also hosts a variety of more traditional integrations and applications, which include self-service and natural language, CRM integration, monitoring and reporting, and configuration and management. Genesys AppFoundry is accompanied by a new Genesys Developer Programme and portal that provides documentation, video tutorials, sample code and a developer forum to help guide customers through purchasing and integrating dozens of applications, including Skype for Business, workforce optimisation, inbound voice, reporting and analytics, CRM integration and agent interfaces. 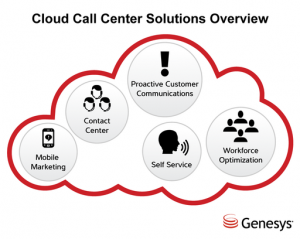 Genesys is the market leader in omnichannel customer experience (CX) and contact centre solutions in the cloud and on-premises. We help brands of all sizes make great CX great business. The Genesys Customer Experience Platform powers optimal customer journeys consistently across all touchpoints, channels and interactions to turn customers into brand advocates. Genesys is trusted by over 4,500 customers in 80 countries to orchestrate more than 100 million digital and voice interactions each day. Be the first to comment on "Genesys Opens Marketplace Customer Experience Solution"